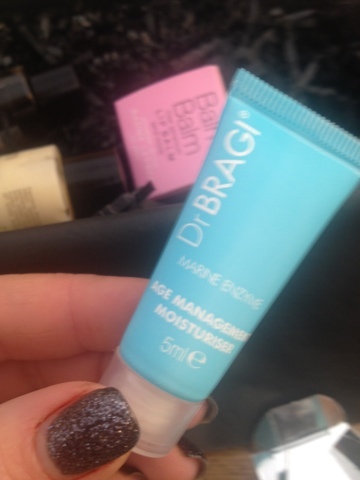 Dr Bragi age management moisturiser. This product retails at £120 for 50ml and I got 5ml which is a good size for a sample. This product is meant to be a serum, moisturiser and eye cream in one. Sounds good and can't wait to give it a go and see if it warrants the £120 price tag!! 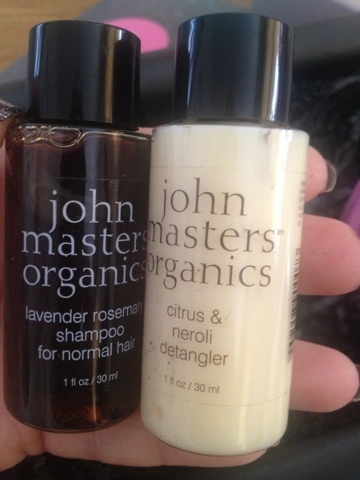 John Masters shampoo and detangler. The shampoo is lavender and rosemary it's meant to " help the hair resist the stress of pollution, colouring and styling". The detangler is citrus and neroli, it's " a light conditioner, eliminates tangles without weighing down hair". It can be used as a leave in conditioner as well. 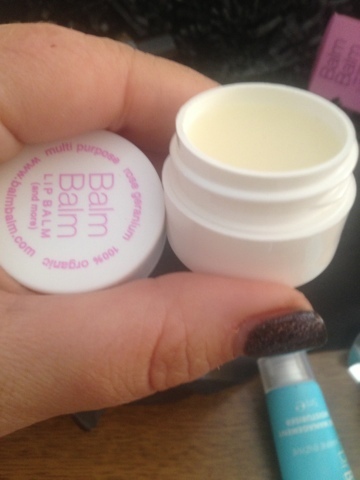 Balm Balm lip balm in rise geranium. This is a full size item. Well there you go, not the most exciting box in the world but I will use all the products. What did you think of the box?